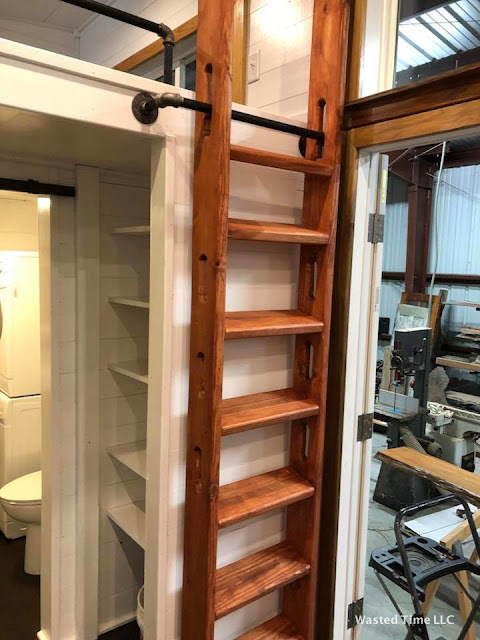 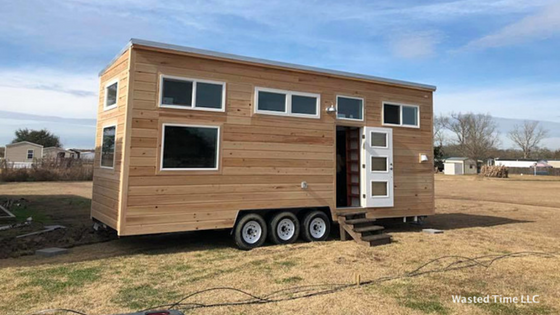 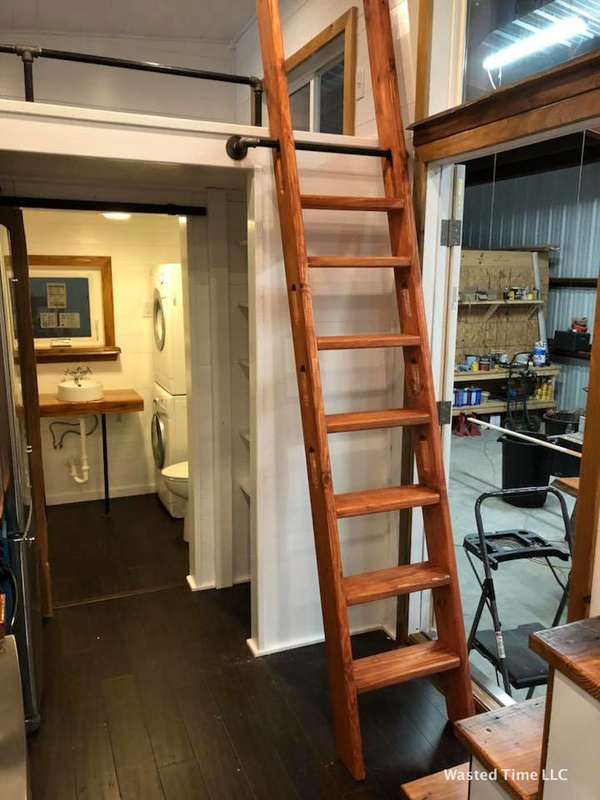 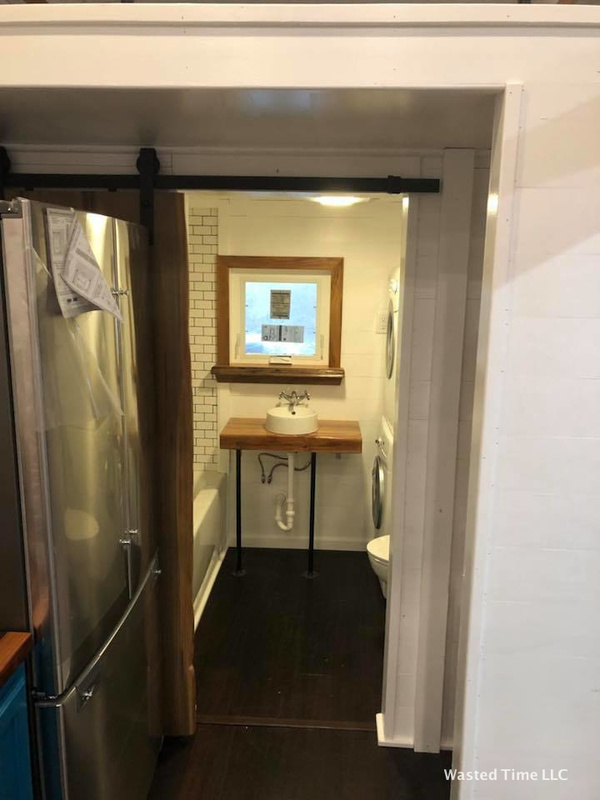 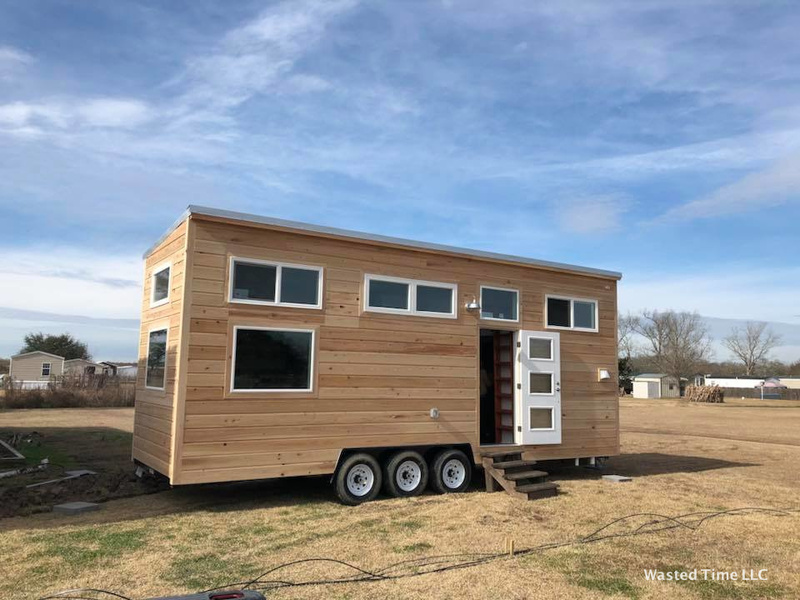 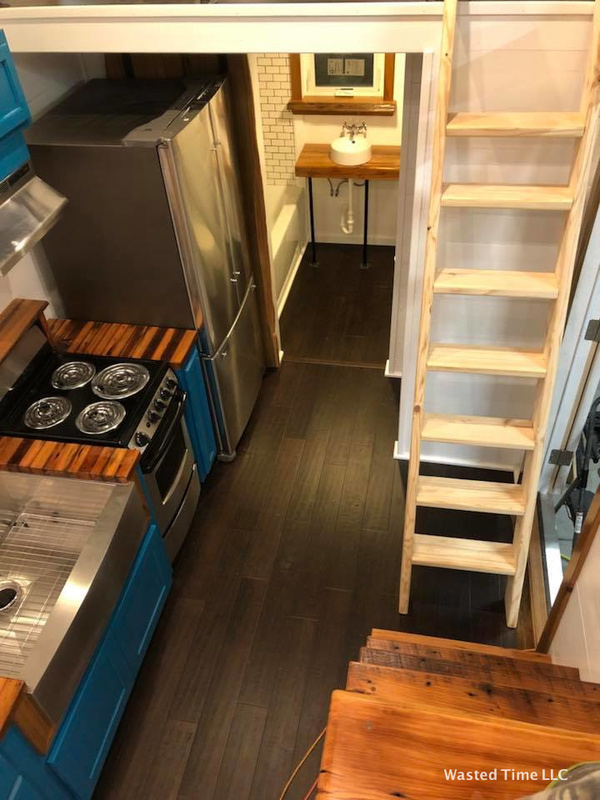 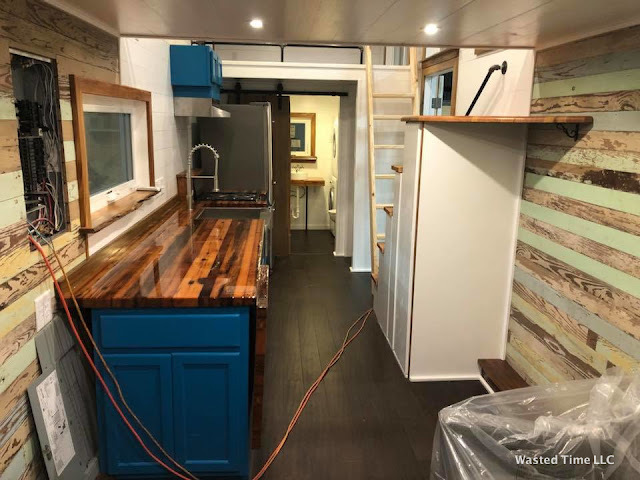 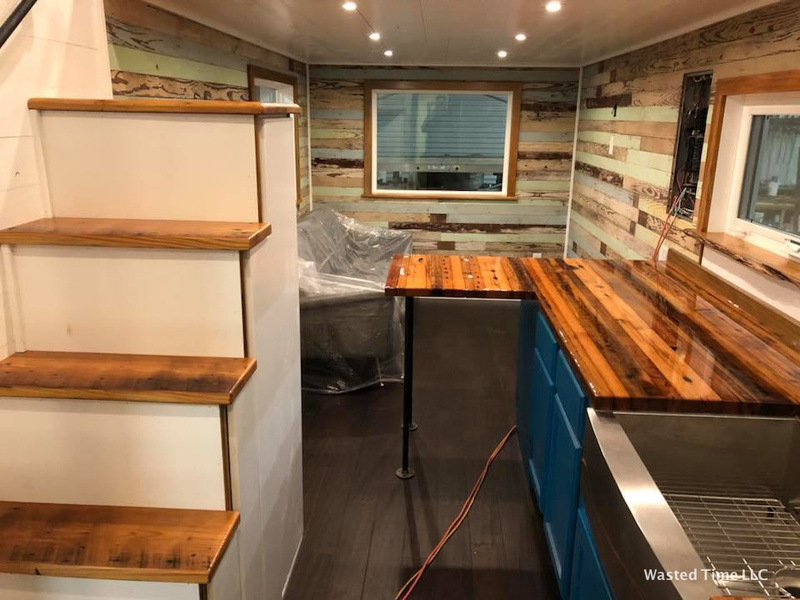 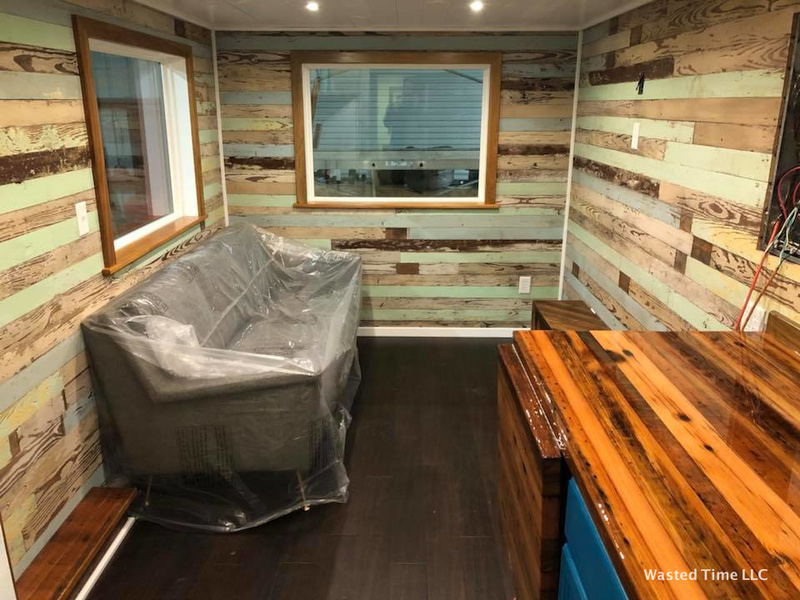 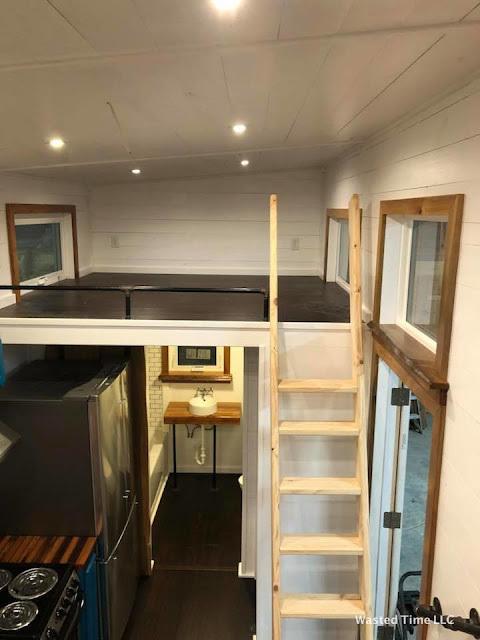 From Louisianna-based builder Wasted Time LLC is this cute 28' tiny house on wheels. 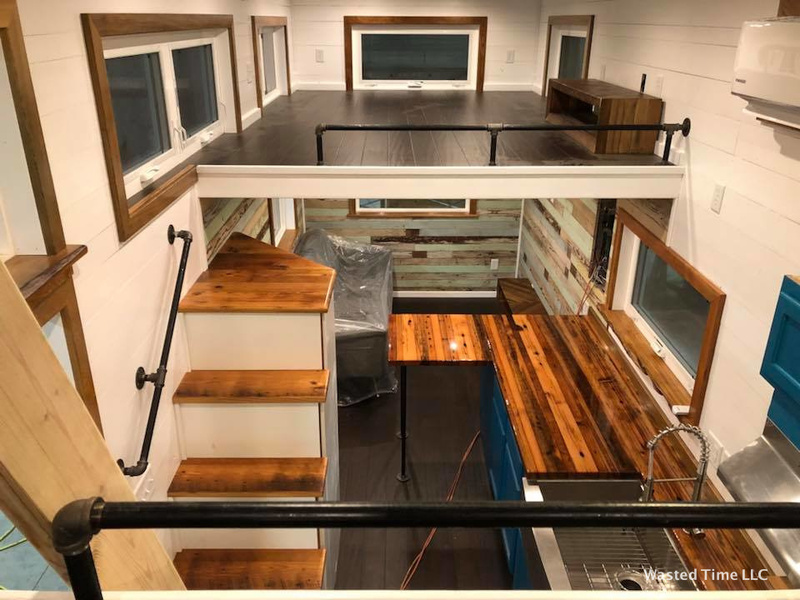 Inside features several unique touches for a truly unique home. 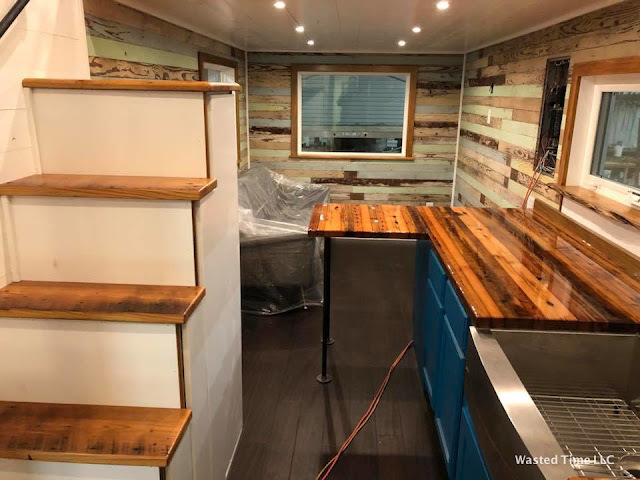 On the main floor is a living room with a multi-color wood wall; a kitchen with a stainless steel fridge, four-burner cooktop, and a fold-down table; and a bathroom. Upstairs are two loft bedrooms- one accessible by stairs and the other by ladder.